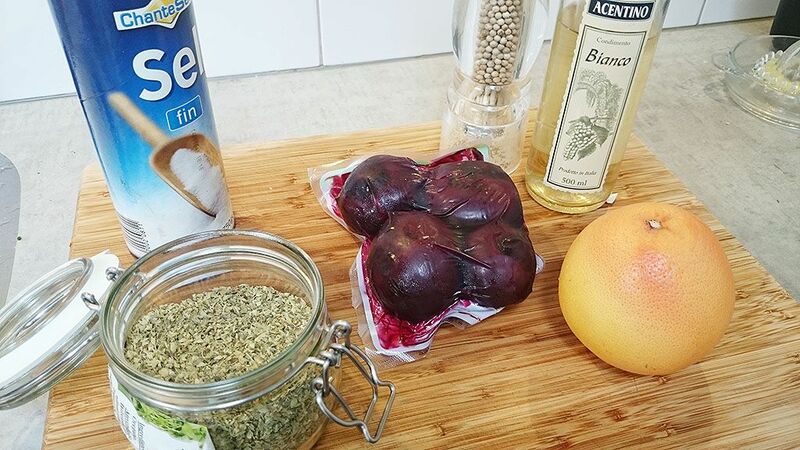 Easy-peasy Mexican red beets salad you can whip up in less than 10 minutes. Hassle-free side dish that complements most spicy Mexican dishes. Fresh mint (not pictured in the ingredients photo). 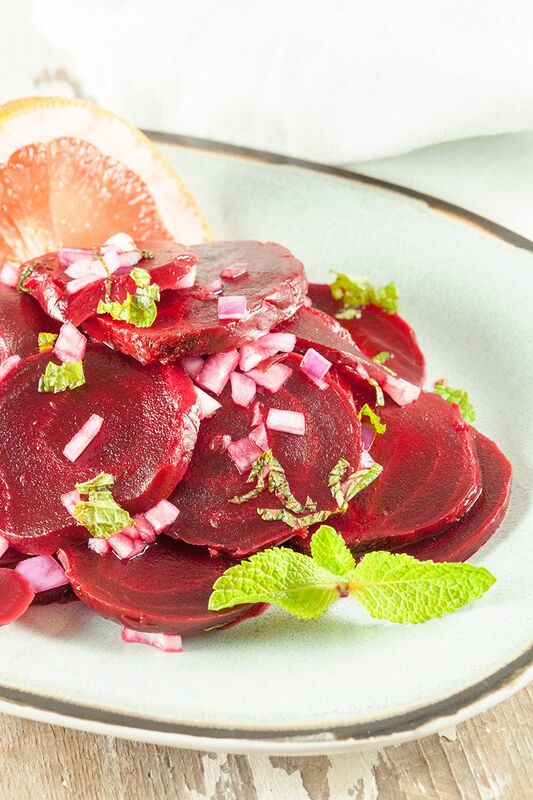 Preparation is virtually non-existent because we are going to use pre-cooked red beets. You can of course cook your own red beets if you really want to. We wanted to save time and go with the pre-cooked beets instead. SQUEEZE juice from the grapefruit and pour that into the big bowl along with the white wine vinegar. 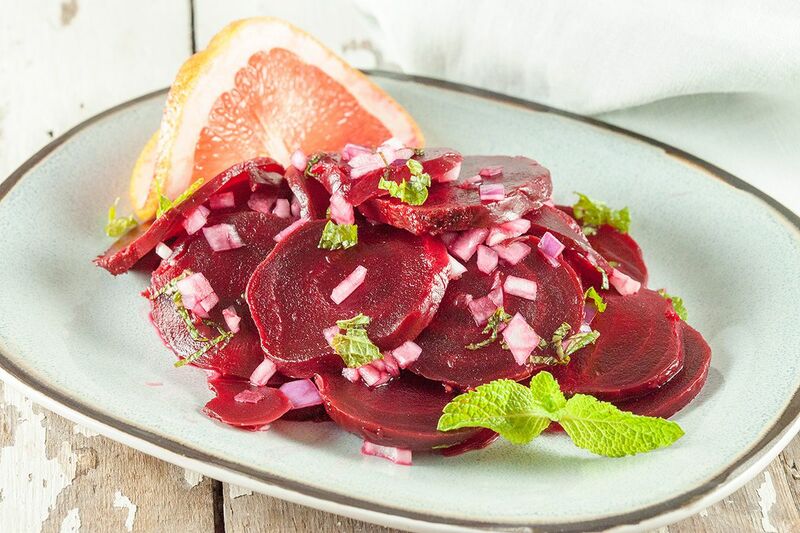 OPEN up the package of pre-cooked red beets, drain any excess liquid and cut into thin slices using your chef’s knife and cutting board. Alternatively you can use a mandoline for this, but we find that to be quite a hassle cleaning. 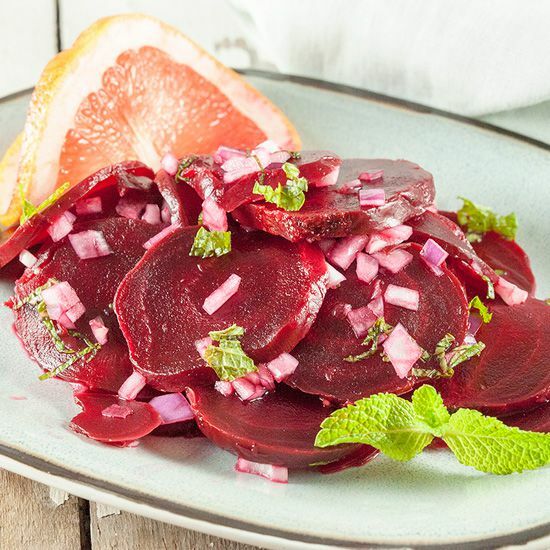 ADD red beet slices into the big bowl and give it a few minutes to soak into the grapefruit and white wine vinegar mixture. FINELY chop up fresh mint leaves (to liking) and/or fresh basil. MIX into the bowl along with the red beets and juice. SEASON with salt and pepper and optionally add 1 diced small onion. Done! That was easy-peasy, right? This dish complements most Mexican foods, because of its pungent sourness. Usually Mexican foods are spicy, and this dish will cancel out some of that heat if needed. Enjoy!